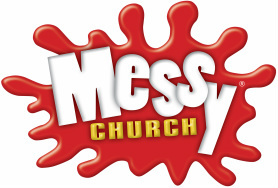 Messy Church is an international church movement designed for all the family but especially children. It was founded by Lucy Moore, who grew up in Butterwick and went to the local primary school. In March this year St James held our first Messy Church, and we aim to follow this up throughout the year. Christ-centred. 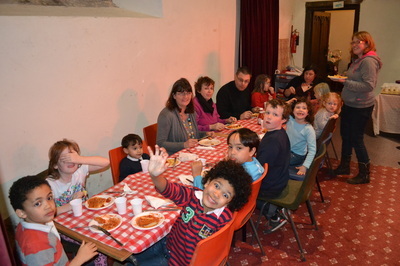 Messy Church is a church, not a craft club, that helps people encounter Jesus as Lord and Saviour. All-age. It is for adults and children to enjoy together - every element should be relevant and accessible to all ages. Creativity. 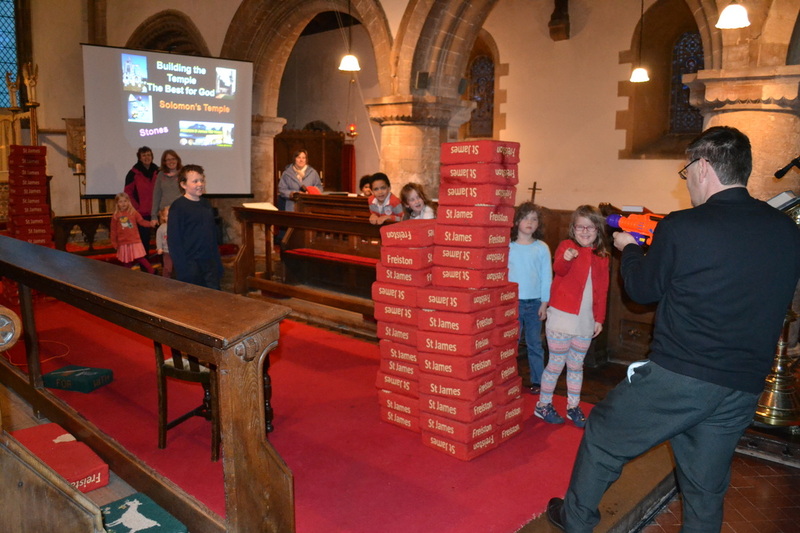 It uses hands-on activities to explore Bible stories, to reflect a God of creativity and to give people a chance to play together. Hospitality. It reflects a God of unconditional love and is a church for people outside church, providing an oasis of welcome and a safe space in which to thrive. Messy Church is about hospitality, expressed most evidently by eating together – whether it’s a plate of fish and chips, or sausage and mash. Celebration. It reflects a God of joy who wants his people to have life in all its fullness.